Our next membership meeting will be on Wednesday, April 24. Welcome to the Northwest Chapter of the national Studebaker Drivers Club. Our chapter is based in Portland, Oregon, and serves members in northern Oregon and southern Washington. The purpose of our club is to encourage the acquisition, restoration, preservation and maintenance of vehicles which were produced by the Studebaker Corporation. 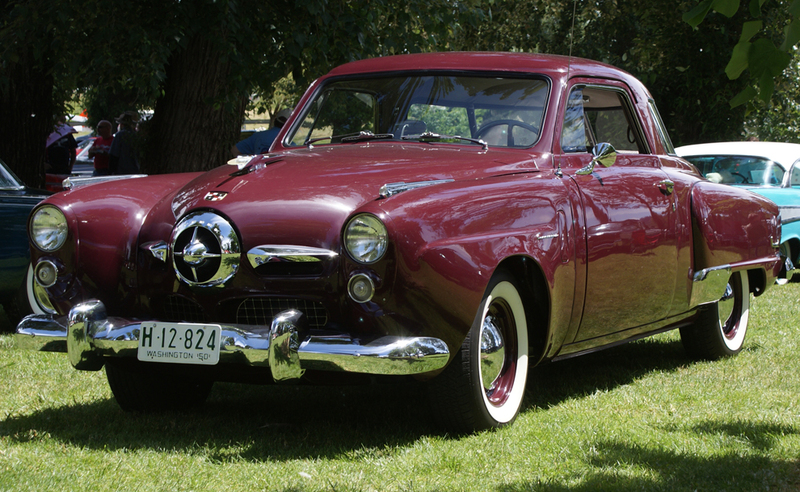 If you are new to us and you love Studebakers, check out the photos from some of our recent events. We are actively seeking new members, and we would welcome your enthusiasm, knowledge, cars, and parts for sale. We can offer you the same, plus just plain fun. Don't have a Studebaker, but might like one? We're the place to come. See you at our next event! Need to print any of the pages on our web site? Dark backgrounds waste ink, so turn off background printing in your browser. In Internet Explorer, go to Tools > Internet Options > Advanced > Printing. Then, before you print, check out your page in Print Preview. We use pop-up windows to display large photos. If you cannot open them, you may need to set your pop-up blocker to accept pop-ups from this site.